Felix will start the opening FIA Formula 3 European Championship race of the weekend at the Red Bull Ring from eighth on the grid. After a challenging free practice session earlier in the day, qualifying at the Austrian venue failed to deliver a significant up-turn in form, with Felix eventually ending up 0.617s off the ultimate pace in ninth on the timesheets. 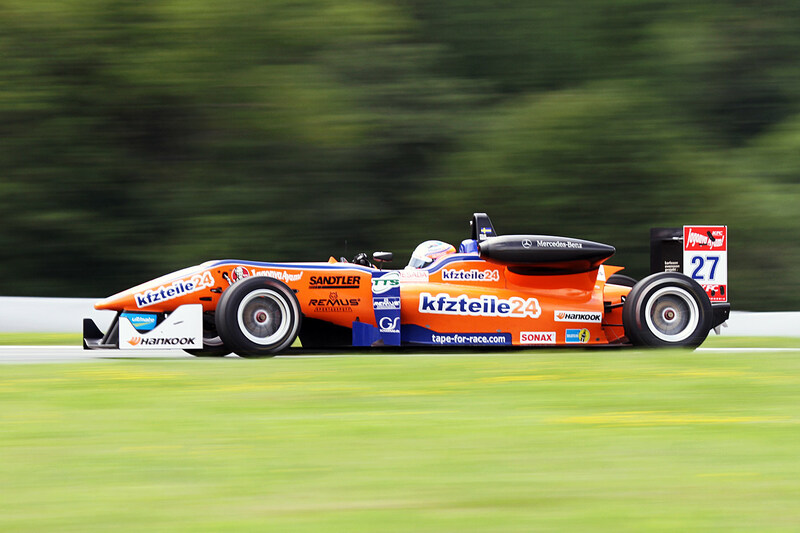 Local favourite Lucas Auer led the Mücke Motorsport charge this time around, although his 1m25.454s best was only a tiny 0.02 seconds faster than what Felix could manage as the duo occupied eighth and ninth on the timesheets. With Auer picking up a five-place grid penalty following his Race 3 clash with Jordan King last time out in Moscow, however, Felix is promoted one place and will start from P8 in tomorrow’s Race 1. Pole position went to championship leader Esteban Ocon, with Prema Powerteam and Carlin runners locking out five of the top six positions. Race 1 is scheduled to get underway at 11.10 local time on Saturday.